"How can you say one style is better than another? You ought to be able to be an Abstract Expressionist next week, or a Pop artist, or a realist, without feeling you've given up something. I think that would be so great, to be able to change styles. And I think that's what's going to happen, that's going to be the whole new scene." Andy Warhol was the most successful and highly paid commercial illustrator in New York even before he began to make art destined for galleries. Nevertheless, his screenprinted images of Marilyn Monroe, soup cans, and sensational newspaper stories, quickly became synonymous with Pop art. He emerged from the poverty and obscurity of an Eastern European immigrant family in Pittsburgh, to become a charismatic magnet for bohemian New York, and to ultimately find a place in the circles of High Society. For many his ascent echoes one of Pop art's ambitions, to bring popular styles and subjects into the exclusive salons of high art. His crowning achievement was the elevation of his own persona to the level of a popular icon, representing a new kind of fame and celebrity for a fine artist. Warhol's early commercial illustration has recently been acclaimed as the arena in which he first learned to manipulate popular tastes. His drawings were often comic, decorative, and whimsical, and their tone is entirely different from the cold and impersonal mood of his Pop art. Much debate still surrounds the iconic screenprinted images with which Warhol established his reputation as a Pop artist in the early 1960s. Some view his Death and Disaster series, and his Marilyn pictures, as frank expressions of his sorrow at public events. Others view them as some of the first expressions of 'compassion fatigue' - the way the public loses the ability to sympathize with events from which they feel removed. Still others think of his pictures as screens - placed between us and horrifying events - which attempt to register and process shock. Although artists had drawn on popular culture throughout the 20th century, Pop art marked an important new stage in the breakdown between high and low art forms. Warhol's paintings from the early 1960s were important in pioneering these developments, but it is arguable that the diverse activities of his later years were just as influential in expanding the implications of Pop art into other spheres, and further eroding the borders between the worlds of high art and popular culture. 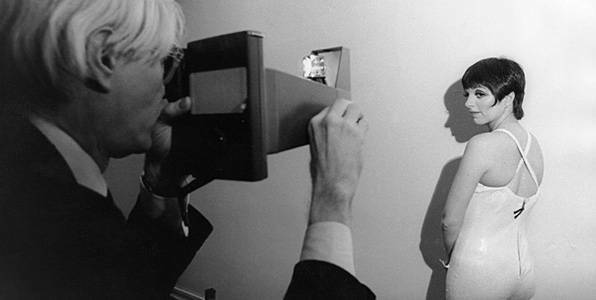 Although Warhol would continue to create paintings intermittently throughout his career, in 1965 he "retired" from the medium to concentrate on making experimental films. Despite years of neglect, these films have recently attracted widespread interest, and Warhol is now seen as one of the most important filmmakers of the period, a forefather of independent film. 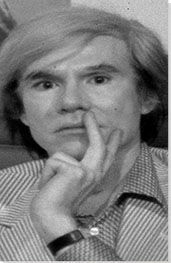 Critics have traditionally seen Warhol's career as going into decline in 1968, after he was shot by Valerie Solanas. Valuing his early paintings above all, they have ignored the activities that absorbed his attention in later years - parties, collecting, publishing, and painting commissioned portraits. Yet some have begun to think that all these ventures make up Warhol's most important legacy because they prefigure the diverse interests, activities, and interventions that occupy artists today. Warhol famously said that "business art is the step that comes after Art. I started as a commercial artist, and I want to finish as a business artist." He became one of the world most successful artists, and made screen prints, sculptures, films, managed a band, and even designed wallpaper - projects that were often highly lucrative (and always built his brand).